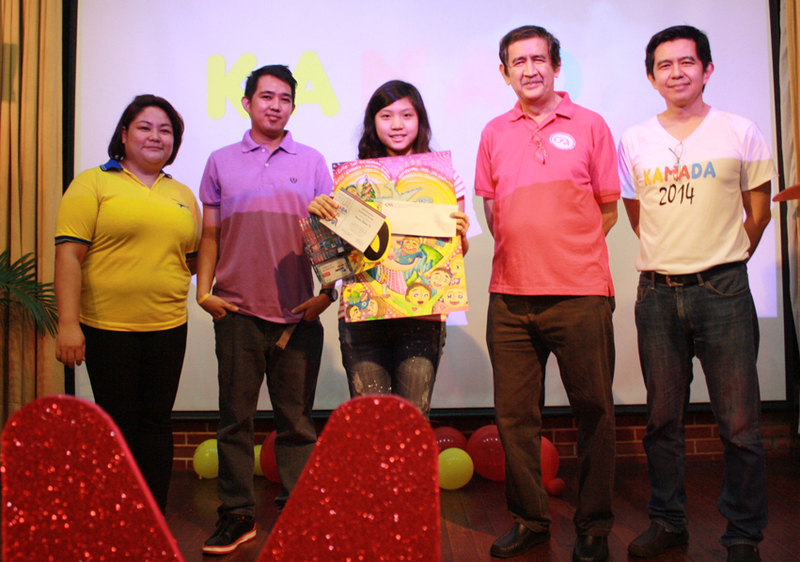 1st Place Winner Christian Lemuel Ibong together with (starting from left) Dong-A Brand Manager, Ms. Roselle Rivera, Cartoonist Mr. Freely Abrigo, Mr. Noel De Leon, executive director of CFA and Mr. Jericho Natividad, Head of CFA Publications department. The contest, which brought in more than 125 high school students from 30 different schools, had for its theme “Living out the compassion of God by showing preferential option for the poor.” Crown Supply Corporation, local distributor of Dong-A and Faber-Castell art products, sponsored the event. Twelve students made it to the list of finalists. They were: Jamia Mai Tolentino, St. Stephen’s High School; James Panaguiton, Marist School, Marikina; Shane Kaye B. Buscas, Sacred Heart Catholic School, Cainta; Adrian B. Baquiran, St. Louis College; Arren Jesther Ellazar, Nazareth School of National University; Sophia Villamayor, Immaculate Heart of Mary College, Quezon City; Esperanza Gabrielle Q. Villa and Joanna Marie R. Bechayda, Paco Catholic School; Amanda Anja Contreras, St. Paul College Pasig; Mia Antonia Ramos, Mater Carmeli School; and Maria Laetitia Mendoza and Alexandra Anne Brigino, St. Scholastica’s Academy, Marikina. The top awards went to Amiel Chua from Nuestra Señora de Aranzazu Parochial School (Dong-A’s Choice), Frances Robina To, Saint Jude Catholic School (3rd place), Angela D. Peralta, Siena College of Taytay (2nd place), and Christian Lemuel P. Ibongas, St. James Academy of Malabon City (1st place). The two top-winning works will be featured as covers of CFA’s Gospel K and Gospel Now magazines for December-January. CFA and Crown Supply Corporation are planning a future second version. Great news for all artistic high school students out there. 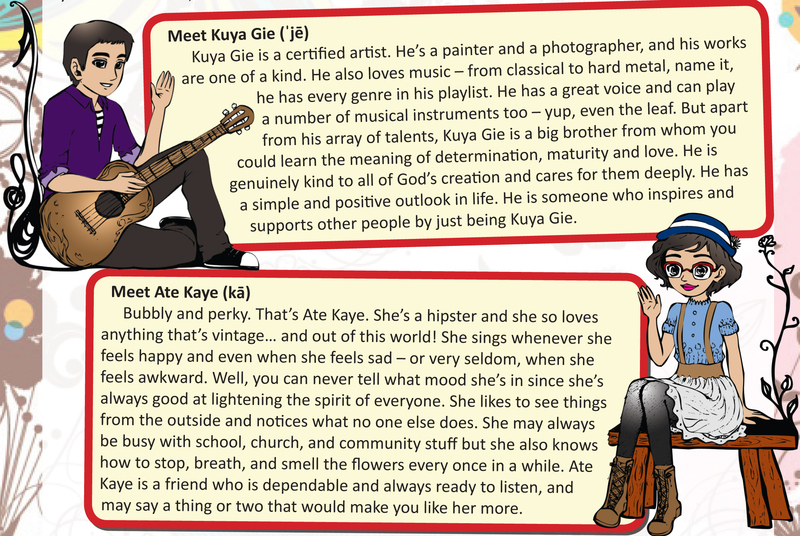 CFA, in cooperation with Dong-A and Faber Castell Philippines, will hold a contest series with the goal of imparting Gospel values and empowering creativity among the youth. 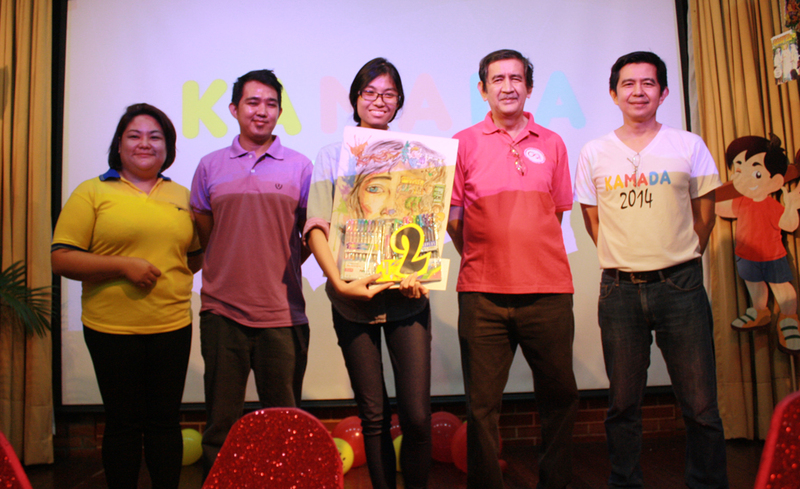 Dubbed “KAMADA 2014” (Kabataang Malikhain at Dalubhasa), KAMADA will start with an on-the-spot cover design contest. High school students will be given a chance to design the covers of CFA magazines. KAMADA 2014 is a one day event on the spot cover making contest that will be held at CFA, 4427 Old Sta. Mesa St. Sta Mesa, Manila on October 3, 2014 (Friday). All high school students wanting to join the contest must register first on the website http://bit.ly/KAMADA2014. The first place and second place artworks will be the cover of Gospel K Magazine and Gospel Now Magazine respectively for the December-January issues. Cash prizes will also be given to the top three winners. All students joining the contest will get free drawing and art supplies courtesy of Dong-A and Faber Castell. To know more about the contest and its mechanics visit the contest website and registration form by clicking here. So what are you waiting for? Register Now! In the August-September issue of CFA’s Gospel K magazine, a comics adaptation of the novel “The Four Horsemen of the Apocalypse” is the lead story for a discussion of the Gospel for the 20th Sunday in Ordinary Time (Luke 12:49-53). To reserve your copy of the full issue, contact CFA Sales: sales@cfamedia.org.